There’s news to report from Massachusetts on the ADR front. 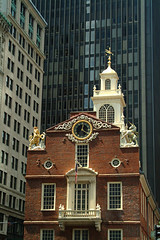 Massachusetts has an office of dispute resolution, created by statute in 1990. According to its enabling statute, the Massachusetts Office of Dispute Resolution (“MODR”, pronounced “motor”), was charged with promoting and expanding the use of dispute resolution at all levels and branches of state government, including counties, municipalities, and public agencies. For years MODR operated under the auspices of the Executive Office for Administration and Finance. Last year MODR transferred its operations and staff from the Executive Office for Administration and Finance to the University of Massachusetts at Boston. This transfer has now been statutorily formalized in the language of one of the outside sections of the Massachusetts fiscal 2006 budget. Beginning on July 1, 2005, UMass Boston (which offers a graduate degree program on dispute resolution) will be MODR’s official locus within the Commonwealth. For the full text of the new enabling statute for MODR, click here.